It's set to be a record-breaking year, with the most people on the move since 2005. A lot of turkey wishbones – and travel records – are set to be broken during the Thanksgiving holiday this year. AAA expects 54.3 million Americans will travel 50 miles or more away from home over the holiday, a 4.8 percent increase over last year and the highest Thanksgiving travel volume since 2005. For the 48.5 million Americans expected to travel by car over the holiday, the best advice is: leave early. In the most congested cities, the Thanksgiving drive could take four times longer than on a ‘normal’ travel day, predicts INRIX, a mobility analytics company. Traffic at airports and in the skies will break records as well. The 12-day Thanksgiving air travel period is already under way, and trade organization Airlines for America predicts a record 30.6 million passengers will fly on U.S. airlines. 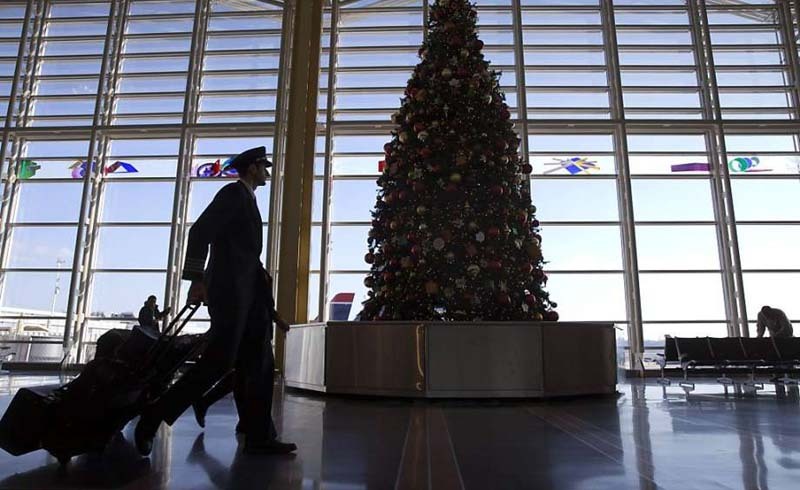 That’s up from the estimated 29 million passengers who flew during Thanksgiving last year. The Transportation Security Administration expects to screen 25 million people between Wednesday and Sunday, a 7 percent increase over last year. 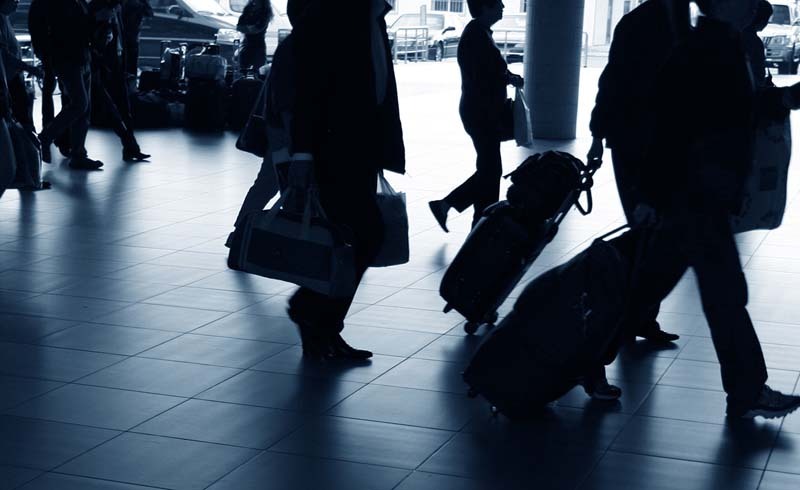 As with driving or going anywhere over the holiday, the key advice for flying is: leave for the airport early. That not only helps reduce stress, but builds in extra time for all those things that can go wrong, such as discovering your favorite airport parking lot is already filled up or there’s a hiccup with your airline ticket. TSA officials say new screening technologies, coupled with additional canine teams and more than 1,200 more TSA officers will help with the increased volume of passengers at airport security checkpoints this year. But there may still be long, slow-moving lines at many airports. To make sure you’re not the person holding up the line, take some extra time when prepping and packing to make sure your carry-on items are checkpoint-savvy. Dress for success: Transfer small items, such as wallets, phones and keys, from your pockets to your carry-on before you get to the checkpoint. Wear shoes or boots that are easy to take off and put back on. Download and print your boarding pass. Putting your boarding pass on your mobile phone means one less paper to keep track of. But a paper version is good back-up in case your phone loses its charge while you’re waiting on a long line, or if the checkpoint scanner can’t read the downloaded version of your pass. Review the rules. If you’re an infrequent traveler, find a quart-sized clear bag and take a moment to read TSA’s primer on the liquids rule. Charge up your phone and other travel gadgets, including one or more back-up chargers, before you leave home. While airports have added more power ports, finding an empty one can still be a challenge. Show up with a power cord with extra plugs, and you’ll be a hero. Download the apps for your airline and all airports you’re traveling through and sign up for the alerts for each of your flights. Get numbers. Make a list of all the phone numbers you might need for your trip. The list should include not only your airline, but also the rental car or shuttle company you’ve booked with, your hotel, the person picking you up and the person who dropped you off (in case you left something behind). Put those numbers in your phone and on paper. Pack extras. Bring along snacks, a hefty amount of patience, and your sense of humor. Add a stash of ‘mad money’ to your wallet. That way, if something goes wrong despite all your planning and preparation, you’ll be able to buy yourself or your family a stress-busting treat. If you’re traveling with food to eat during your journey or with a turkey or something else destined for the Thanksgiving table, you will likely be asked to take it out of your bag and put it in a separate bin for a ride through the x-ray machine. TSA allows turkeys, turkey sandwiches, pies, cakes and other baked through the checkpoints, but foodstuffs that are liquid, such as jellies and cranberry sauce, need to travel in checked bags.